Especially in hospitality [in those countries, where smoking is still allowed to a certain extend] cigars are often in a horrible state. Too dry, too inconsistently stored, even sometimes too humid. At home, you have a different problem - you have to replenish the water in the sponges quite regularly. And if you are regularly going through a time, which is more demanding on work, and you lack the time to take care of your humidor, your sticks become dry and unsmokeable. Anyway - I have developed a hack, which would keep your cigars perfectly conditioned and very little work is involved. 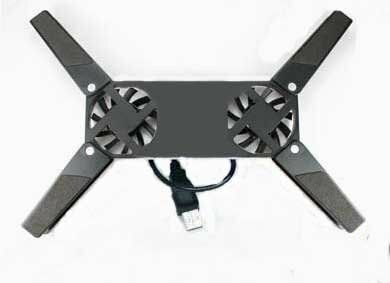 Buy an external laptop fan, which fits into your humidor! Make sure, that it is not battery powered. 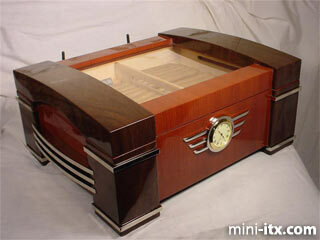 Honestly - I have seen years ago a incredible expensive humidor, which had a battery powered system. Incidentally I have also seen, that the batteries ruined the whole system, as batteries tend to leak in a humid environment [hence in a humidor, it is pretty likely, that this will happen]. And not only your system, but also your cigars will be ruined by the chemicals]. Usually they are powered by USB- which is perfectly fine. Moving "feet" are perfectly, as you can either way remove them or fold them in, to snug into your cigar box. Get a container, which fits nicely into a side of your humidor [perfectly would be one, which fits underneath the fan]. They look a bit like rock salt, however if you put water on it, they grow and change to a jelly. The substance is called sodium polyacrylate [but I guess, that your florist will look at you clueless, if you give him this denomination]. Those sodium acrylate crystals are far better than any sponge you can buy and they are less likely to grow fungus or other microorganisms in your humidor. Even better would be Rh beads, which would even control the humidity, instead of only increasing it. However this product is much harder to find. Sounds difficult to get? It isn't. Check the baking section in your hypermarket of your choice. And yes, glycerol and glycerin is absolutely the same thing! Distilled water is great. But really normal bottled water is fine as well. If you have really good tap water, you can even use this. However than make sure, that you filter it and boil it, before you use it. Get a USB adapter for your wall plug. You now have just to put your container in your humidor [I like to put it always on the side]. Fill it with the sodium polycarbonate. Then mix a table spoon of glycerol on 200 ml [or so] water and add it to the water crystals. If you see, that they are not fully bloomed, just add a bit more water. Place the fan above the container with the crystals, plug it in and close your humidor. You might want to drill a small gap into the "seal" of your humidor for the cable. Definitely make sure, that your humidor closes properly [doesn't need to be air tight - but it helps to less frequently replenish the water]. I put my spare laptop onto my humidor [which is always connected with iTunes webradio and my bluetooth speakers, so I can hear my lovely smooth jazz, when I come home] and connected the USB plug into the computer, instead of using the adapter. Obviously this is [kinda] luxury. Simple! Moving air, can hold more humidity then standing air. But on the other hand, the humidor is extremely well ventilated. The glycerol is just adding a bit more elasticity to the cigars, as it enriches the cigars and make sure, that they can hold more consistently the moisture. It even improves smoking [shisha tobacco includes a lot of glycerol, which "makes good smoke".